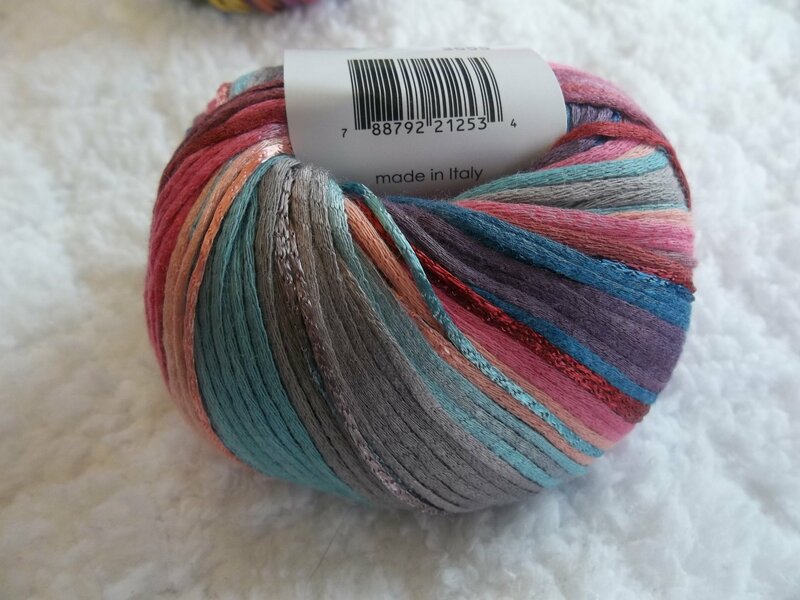 Santorini is a ribbon and chainette construction yarn with matte and shiny sections. Santorini is a light worsted to worsted weight yarn that knits to about 5 sts. to one inch on a US7. 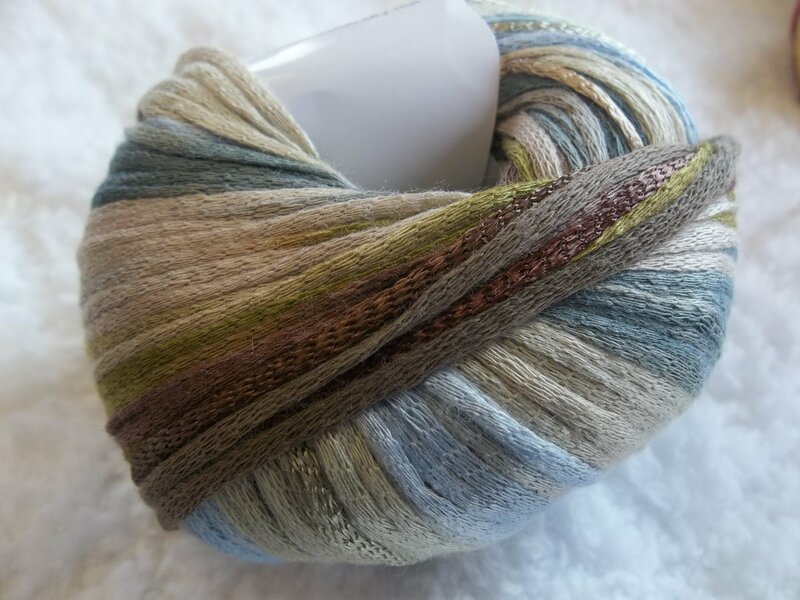 The blend of this yarn is 58% viscose and 42% cotton. 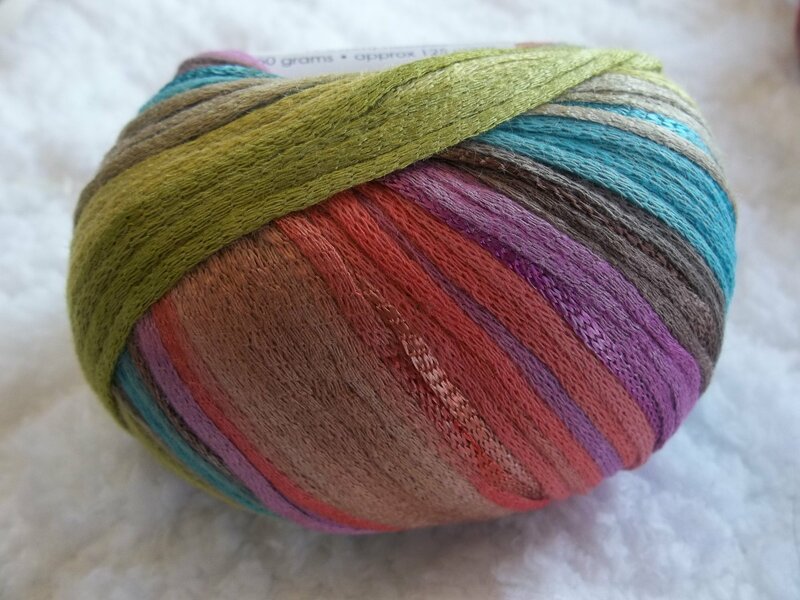 Each 50 gram skein contains 125 yds. Hand wash cool and dry flat.